The app uses real-time traveler insights to provide a next best action and advice for the attendant. 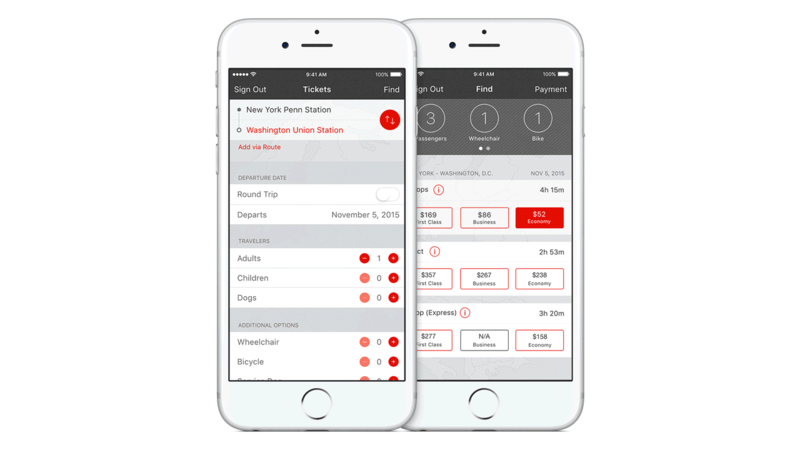 Real-time scheduling information is available at the train attendant’s fingertips, resulting in more accurate and timely traveler advice – along with more efficient delay management. Train attendants are able to receive alerts and notifications about last-minute schedule changes and external events affecting train routes, leading them to the next best course of action. Geo- and micro-location capabilities help improve on-time train connections, departures and traveler satisfaction. Higher transparency in reservations and Train and Coach capacities heightens the train attendant’s capacity to better manage in-train work, such as maintaining passenger count. By going mobile there is a significant reduction of manual, paper-based processes – which increases efficiency and can lead to future improvements. Through its service, IBM and Apple have teamed up to provide you with the most comprehensive support available. It includes 24/7 phone support from Apple and next-business-day on-site service from IBM. Whether buying or leasing devices, the IBM flexible procurement model enables you to go from procurement to deployment quickly. You can also manage all your iOS devices from a single portal and effortlessly apply security policies that ensure data protection on every device.